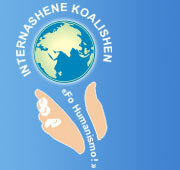 The speech at the X conference of the International Coalition "For Humanism!" What should the language of humanistic integration look like? First of all, it should be neutral. Then, it should be simple and easily understandable for as many people as possible. There is a range of other requirements, such as fidelity, harmoniousness, phonetical acceptability for the most people, euphony. But this is not all. Psychological acceptability is very important. People of a subjugated country won't ever accept the invaders' language, even if they understand it well. Hindi language had assimilated plenty of arabic words, they became in fact native to the Hindus, but there is still perception of these words as "not ours", and half-forgotten original hindi words are being revived and used instead of well-known arabic ones. So intelligibility is not everything, the quality of "being one's own" is also crucial. An international language should be created in such way that as many people as possible would perceive it not only as neutral, but as a language with a touch of their own native language. From this follows that: 1) a constructed language should be based not on one or two languages, but on many, it should include significant constituents from, at least, most widely spoken natural languages; 2) it should be naturalistic, it means there shouldn't be words spun out from thin air; grammatical schemes should also be based on the realities of natural languages and shouldn't disguise the living words too much. Such a language would be psychologically acceptable for a large part, or even majority, of the planet's population. It could provide a friendly field for international communication and finding solutions independent of the predominant culture in crisis. This is the idea of Lingwa de Planeta. LdP is being created on the basis of the ten most widely spoken languages including Chinese and Hindi (one can't ignore Chinese language, as the number of people speaking it compares well with that of English, and the number of Chinese native speakers is twice as much as native speakers of English. Now India's population, as we know, grows fast and may catch up with that of China). The following languages are taken: six european (English, German, Spanish, Portuguese, French and Italian), Russian, Chinese, Hindi, and Arabic. Italian is not among the 10 most widespread languages, but it takes part in LdP, most international words coming from Latin. LdP also includes words from other languages. In addition to natural languages, we keep turning to Novial, created in 1930–40-s by an outstanding Danish linguist Otto Jespersen. In my opinion this language is the best among artificial languages. Unfortunately, it is based only on european languages. Another constructed language we make use of is Esperanto, so some esperantisms are present in LdP. These are the languages which serve as a foundation for LdP. The first one is a principle of maximum internationality. We take the most international words, clear to most people. This principle determined the fact that the bulk of LdP vocabulary is of Latin origine. Latin roots have spread over the planet most widely. The word "liberty" is "liberty" in English, "liberté" in French, "libertad" in Spanish, "liberdade" in Portuguese, "liberta" in Italian... Thus it is clear what root is to be taken for LdP. The same principle determines a very important role of English, the today's international language. Quite often it is English language that is given preferences to. It should be noted that Otto Jespersen consequently followed the same principle of maximum internationality creating his Novial, so a large part of work has already been done by him. Great thanks to this outstanding scientist. We use a lot of Novial roots. The second principle is that of noticeable participation of every taken natural language. Here it is important to know where to stop. Too big a share of Chinese, for example, can complicate LdP studying for the europeans. On the whole, I am satisfied with how Chinese integrates into LdP. Chinese words are brief, beautiful and distinctive, now all these features are important. Phonetical features of Chinese language do not let us take much, but it is possible to take what is significant and used often. There are not too many chinese words in LdP, but they are really important, hardly any conversation can do without them: shwo—to speak, yao—to want, hao—good, well. On the whole we plan to have about 15 percents of non-european vocabulary, which is quite a lot, because this is the most frequent vocabulary. And this is how we solve the problem that the first and the second principles may partly contradict to each other. This solution provides simlicity for the europeans as well as a noticeable role (a smack) of non-european languages. When we select words, our preferences lie with those that sound at least partly similar in several languages and, what is more, do not have any unneeded connotations in others. For example, we wanted to take Hindi "mata" for "mother", but in Spanish "matar" means "to kill, to murder", so we decided to take another word. Of course you can't get rid of all possible unneeded connotations but some effort in this direction is desirable. The task is to combine the combinable, to find a harmonious whole for reconcilable components of different languages. The third principle is a principle of moderate naturalism. LdP words should be similar to the words of the natural languages, but word-formation should be as regular as possible. We tried to find here a golden mean between naturalism and schematism (both have advantages and disadvantages) partly by replacing natural irregularities with a simple scheme, partly by leaving it as it is. Thus, for example, various Latin prefixes im-, in-, ir- are replaced by non-, so "impossibility" is "nonposiblita", though "imposiblita" would have sounded more natural for the europeans. Adjectives with suffix -able are regularly generated from verbs, for example, "visible"is "vidable", not "vizible" which would have been more familiar to the europeans. At the same time we have left such irregularity as transposition of 't' into 's' when producing nouns from verbs: admita—admision, reflekta—refleksion. Although, I have to say, that it is an understandable irregularity (flexion -tsion naturally transforms into -sion), and there is a great advantage in it, for the words are recognizable and phonation is natural. Due to an extremely broad occurence we have left such a naturalism as "vita"—"life", while "to live" is "viva", i.e. alternation is preserved. Affixes in LdP repeat natural languages' affixes for the most part. About phonetics. Much is done to reduce phonetical obstacles between languages. Many languages do not have such sound as [z] (Scandinavian, Chinese). Therefore words are composed in such a way that this sound is not sense-distinguishing (unlike Esperanto's or Ido's "rozo—roso"). In LdP representatives of these languages can read letter 'z' as [s]. The Spaniards can read letter 'x' in the word "examen" as [eksamen], which is natural for them. Then, Russian language doesn't have such a sound as [w]. LdP has this sound, but it is not sense-distinguishing (as for example in Ido "vesto—westo"), so it can be pronounced as [v]; we can say both [lingwa] and [lingva]. LdP doesn't have different kinds of [h], as Esperanto does. LdP doesn't have a special letter for the sound [c], for it is uncommon for LdP. A lot was done for the convenience of phonation: the most words end with a vowel, thus excluding cumbersome combinations of consonants. The LdP grammar is simple. Verbs have the same form for the infinitive, present tense and imperative; adjectives are invariable; except for plural endings and the ending -n for genitive, nouns are invariable too. The LdP project is open for everybody interested. We need specialists, people who know Hindi, Chinese and Arabic. If you get interested, contact me by e-mail: l-d-p@inbox.ru. We are working now to create an English version of our site, so that people from various countries could take part in the project.